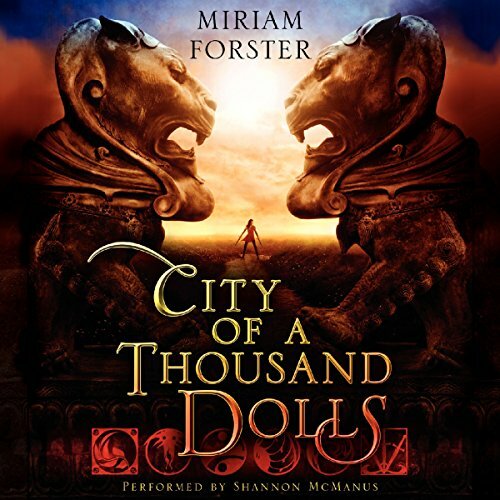 Nisha was abandoned at the gates of the City of a Thousand Dolls when she was just a little girl. Now 16, she lives on the grounds of the isolated estate, where orphan girls apprentice as musicians, healers, courtesans, and, if the rumors are true, assassins. She makes her way as Matron's errand girl, her closest companions the mysterious cats that trail her shadow. Only when she begins a forbidden flirtation with the city's handsome young courier does she let herself imagine a life outside the walls. Until one by one, girls around her start to die. Before she becomes the next victim, Nisha decides to uncover the secrets that surround the girls' deaths. But by getting involved, Nisha jeopardizes not only her own future in the City of a Thousand Dolls - but also her life. I felt that the book was read well and kept me wanting to keep listen. However, I felt that some of the themes and ideas weren't as well constructed as the overall mystery. Overall, fun, but not sure if I will be checking out the companion book.